Recently the LDS Church published the first known photographs of one of Joseph Smith’s seer stones. Although sources vary, Joseph Smith apparently found a seer stone when he was 16-years-old while digging a well near his home. Using this stone, Joseph developed his capacity as a seer, searching for buried treasure and lost items. He would later apply this gift to translate the Book of Mormon. 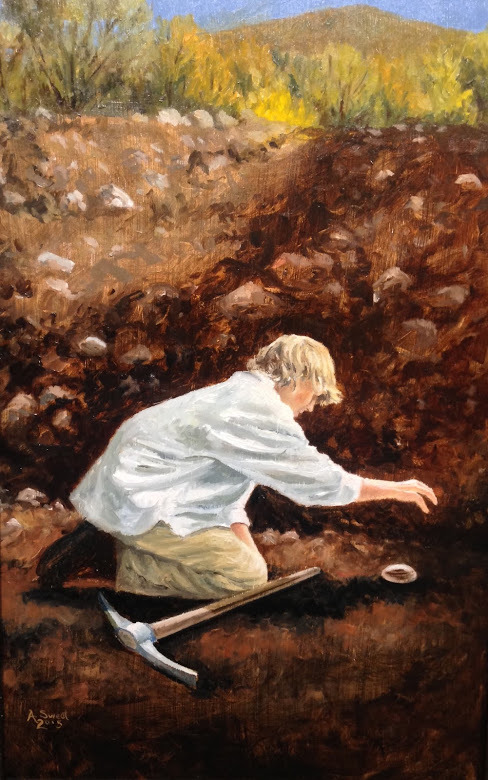 With the Hill Cumorah in the background, this painting depicts the youthful Joseph finding his stone, prophesied in the Book of Mormon, “I will prepare unto my servant Gazelem, a stone” (Alma 37:23).